I love summer and I never want it to end! Tomorrow is August 1st and for me, that means the end of summer. We start back to school, I’m crazy busy, and life flies by. I eat when I can, sleep not enough, and go to the bathroom…wait, no I don’t get to do that! You know what I’m talking about! Being a teacher is a great job, but it sure does take a lot of time and energy. 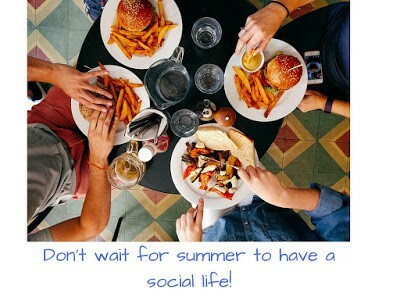 There are tons of tips about how to manage a classroom, how to organize things, how to save time, but for me, my best year ever is the year where I enjoy life to the fullest in and out of school. It’s the year where I don’t wait for summer to do my living or see my friends. It’s the year where I am not catching EVERY SINGLE COLD. It’s the year where I treat myself as well as I treat everyone else! I know that is much easier said than done. I have a family, so I cook, clean, get clothes ready, pack lunches, do bath time, read books, complete reading logs, and … the list is never-ending! On top of it all, I work a 60 hour a week job! That said, I need to be in my best shape to keep going. So I eat well, exercise, and try not to drink too much coffee! Want to know how exercise helps me stay sane? Check out this post. Keep a fridge in your room and stock it with fruits and vegetables. When you need a snack, you’ll have something healthy rather than that bag of chips or cookies that you find in the teacher’s lounge. On Monday morning, fill up your fridge and cupboard with healthy things (and maybe some treats…like dark chocolate) and you’ll be good to go all week! Exercise! I love to sleep, but I don’t get to do that much. I get up at 5 a.m. to grade papers so that I can run after school. Or, I get up and run before school. It is so much better for my mental and physical health, and I rarely get sick. If I don’t make time for this, others just don’t do as well around me. Don’t feel guilty taking time for yourself, but put that time to good use. If you take time from your friends or family to exercise, don’t half-way do it. Be efficient and move on to the next thing. Want more self-care tips? Find some here. 2. 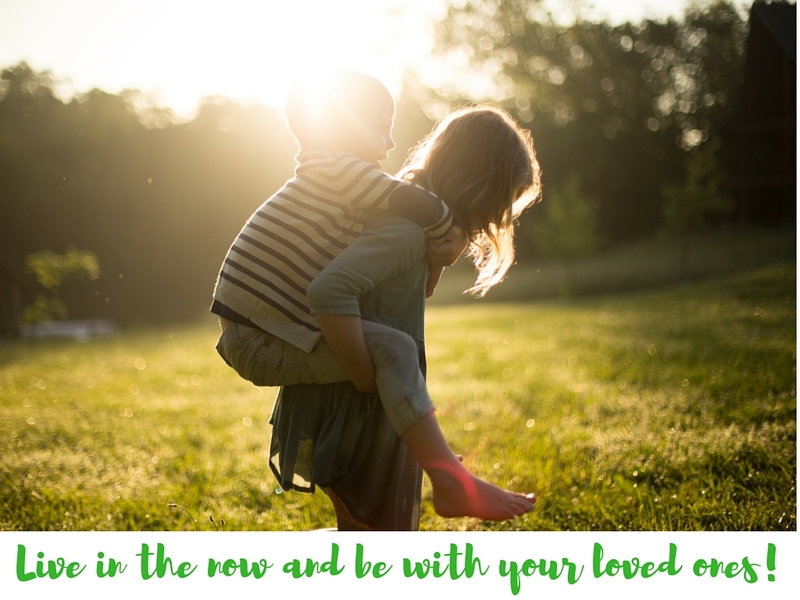 Enjoy every second of your family time. Do not touch that phone during dinner. Yes, Facebook will give you all the happenings of your friends, but do you need to see that while with your family? 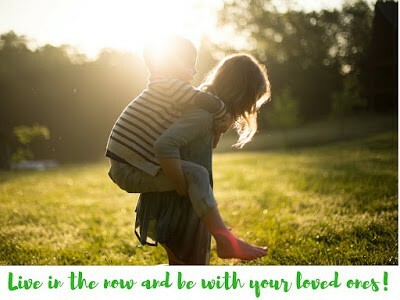 Be in the now, be with your children, talk about their days. You won’t get to do this forever. If you can’t resist the pull of social media, find a quiet 10 minute block where you can indulge your guilty pleasure. If you fall asleep during story time (I do…a lot) maybe do it on the couch instead of in the bed. Could you do it before dinner instead of after? I had to admit that the schedules other people went by just didn’t work for me as a teacher. Have one week-end day where you do not touch school work. Could you even do both weekend days??? I stay 2 hours late on Friday night every week so that I NEVER take work home on the weekend. 3. Find positive colleagues and enjoy being with them. If people are negative, just stay away. That negativity will start to infect you, and you will become very unhappy. If you are in a negative environment all-together, then just put on some music that you love, shut your door, and buckle down during your planning period so you don’t have to stay a minute longer than necessary. Reach out to others. Start a welcoming committee to increase the positivity at your school. Bake something delicious and share it just because. If you can’t find positive people at your school, maybe you can help change the school climate. 4. Meet colleagues that you like outside of school. Meet your friends. Just go out! Don’t talk about school. AT ALL. Just enjoy being a grown-up with grown-up friends. Go to outdoor places when you can. Share good meals. Invite them to your house. 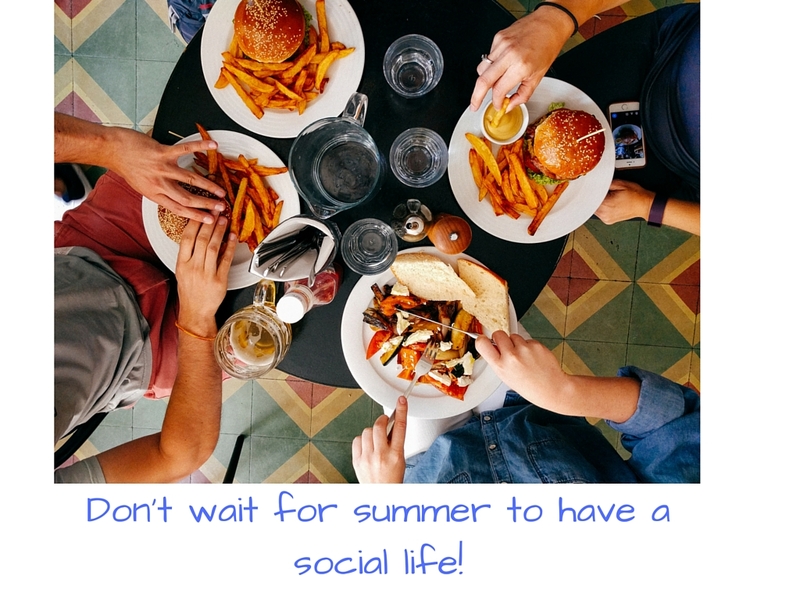 Reach out to others and remember that social life does not have to happen only in the summer! My goal: To have a monthly get-together with my favorite girls. 5. Don’t feel like you have to do it all by yourself. There are so many great teachers out there! If buying a resource on Teachers Pay Teachers will free up a lot of your time, do it! Isn’t your weekend with your little one, your best friend, or your significant other worth the $5-10 you don’t want to spend? I know how underpaid teachers are, but I also know how much harder I had it when I tried to do it all myself. One of my favorite resources that I bought from Teachers Pay Teachers cost me about $10, but it saved me so much time. In the end, I got a tax deduction, found something amazing that I will use for years to come, helped a fellow teacher, and gained some extra free time! I’d say that was a great investment! In case you’re wondering, here’s that resource I love! Your time is so valuable, and I know how hard you have to work every week. Save yourself the time and energy so that you can do more of what you love. Hi Sara! Thank you for such sweet words! Italian and German…Wow! I lived in Milan during high school, but I remember so little now. This is the one I mentioned… and I don't know why I didn't link it in the post, so I will now! It was an amazing time-saver for me when I got a new grade level (again) and was in a scramble for something that would work with a lot of texts. :).